Building an enterprise requires many different development phases, from stepping into the shoes of potential customers in order to design a product or service to run a marketing campaign. Our unique set of SEED tools and interactive worksheets guide the process. 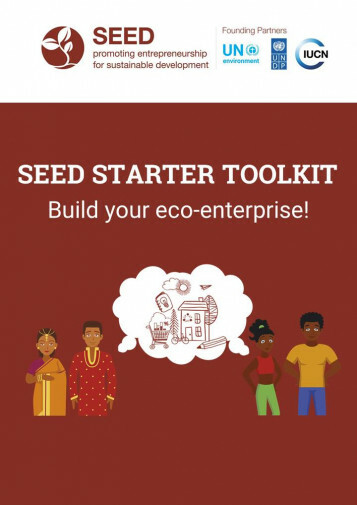 SEED Toolkits offer a glimpse into the unique tools and methodology offered to SEED-supported enterprises during our multiple Enterprise Support programmes. The toolkits guide aspiring entrepreneurs and growing enterprises as they learn from lessons in eco-inclusive enterprise success and prepare to start-up and scale-up their own endeavours.